Madcap England classic Sixties Mod 3 Button Suit Blazer. 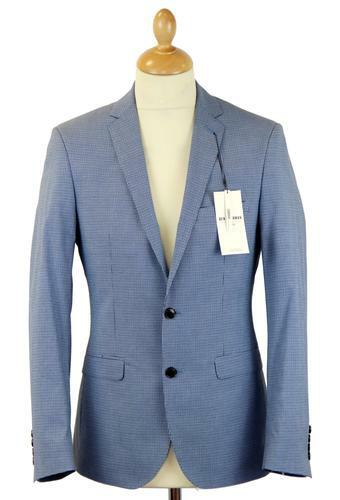 This cool Mod single breasted tonic blazer jacket features slim tailored lapel and 3 covered button fasten. The sublime Retro purple tonic mohair blend fabric makes for a striking 2-tone effect. Retro piping inner trim compliments the vivid striped lining. A brilliant slim Mod cut. 3 Button Mohair Tonic Blend Mod Blazer from Tailored by Madcap England. 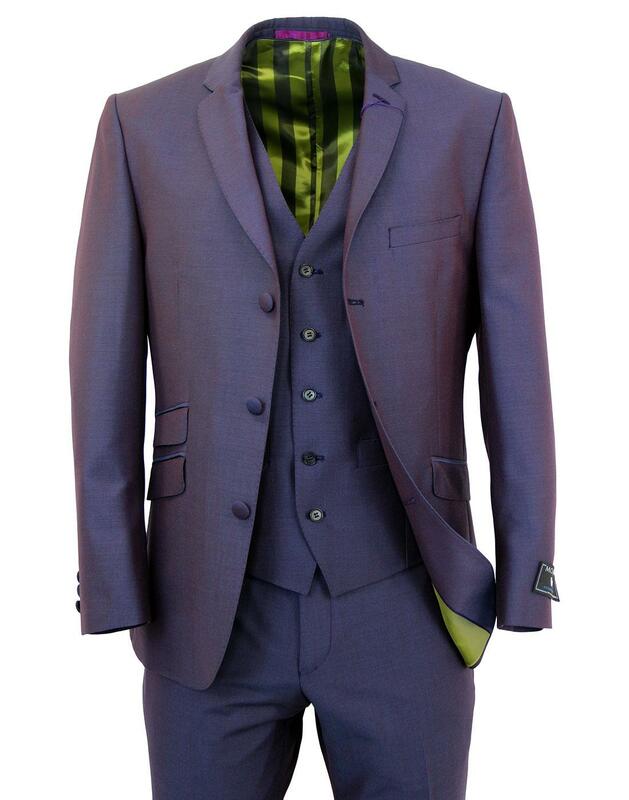 Madcap England 3 Button, slim cut Mod Blazer Jacket in purple tonic mohair blend. With Retro slim lapel, covered buttons and side vents, this blazer really is the epitome of Sixties Mod style. Button hole detail to the lapel in case one wishes to accessorise with a traditional Boutonniere. The underside of the collar incorporates a stylish felt finish. Flap pockets to sides including the essential Mod ticket pocket to right side. Open welt breast pocket to left side, 3 covered buttons to cuff. AMF tonal stitch finish to the placket and pocket edging adds a tailored Vintage appeal. The slim fit blazer is finished off with superb contrast Retro stripe and block colour combination lining. Stylish inner pocket detail adds a neat touch. Pair this exquisite 3 button mohair blend Mod Tonic blazer with the matching slim leg trousers and V neckline Waistcoat for an awesome 3 piece suit. Featuring Mohair Blend woven label to sleeve (which is easily removable). This same label is also replicated to the jacket lining. Tailored by Madcap England script signature woven label to inner lining. 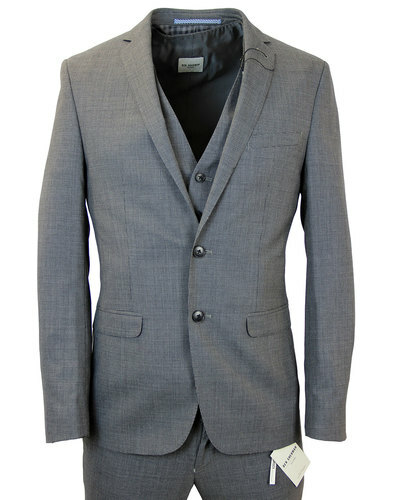 Key Points: Tailored by Madcap england 3 button tonic blazer with ticket pocket and side vents. Slim cut. 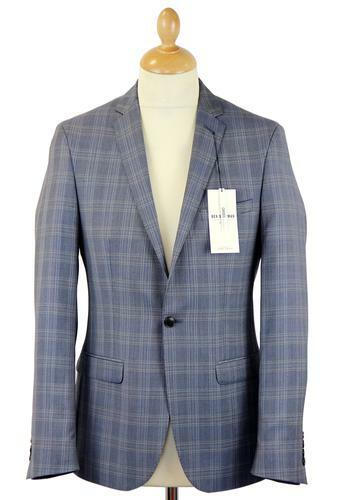 SKU: S15554SP3/750 Mohair Tonic Blazer. This is a super slim fit blazer. 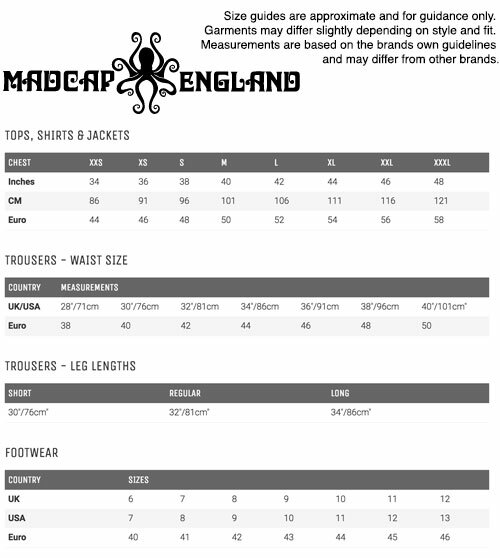 Choose chest size and length to fit.